For the actual on-the-day work, delegates were handed a link to these instructions in github. 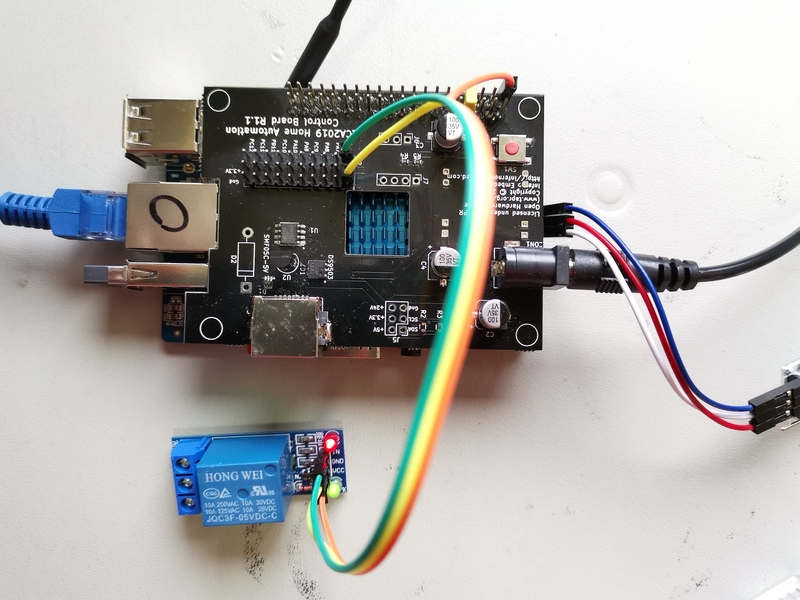 If you’re playing along at home, you should probably read 1-Wire home automation tutorial from linux.conf.au 2019, part 1 before attempting the work described here. Its especially important that you know the IP address of your board for example. 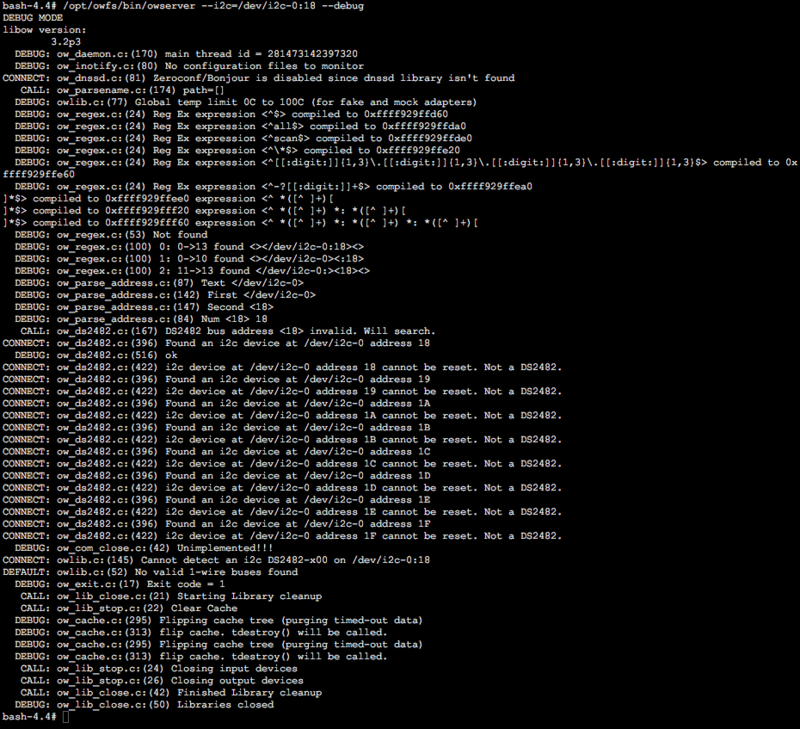 Sorry to post that as an image, cut and paste for the hassos ssh server doesn’t like me for some reason. I suspect I have a defective DS2482, but I’ll have to wait and see what Allistair says. You need to do the pre-tutorial setup first. I use Ubuntu, which means its important that I use 18.10 or greater so that st-link is packaged. Apart from that the instructions as written just worked. You also need to download the image for the SD card, which was provided on the day at the conference. The URL for that is from github. Download that image, decompress it, and then flash it to an SD card using something like Balena Etcher. The tutorial used 32gb SD cards, but the image will fit on something smaller than that. 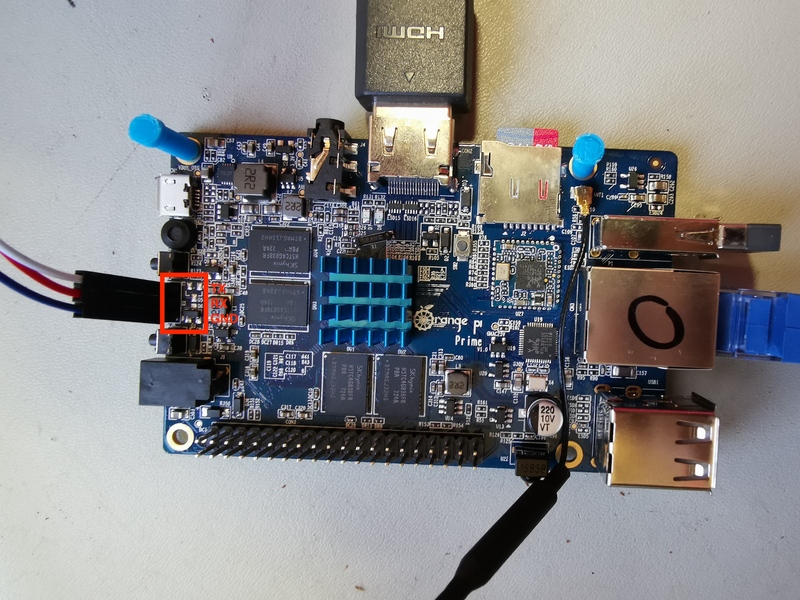 hassos also doesn’t put anything on the Orange Pi HDMI port when it boots, so your machine is going to look like it didn’t boot. That’s expected. For the tutorial we provided a mapping from board number (mac address effectively) to IP address allocated in the tutorial. 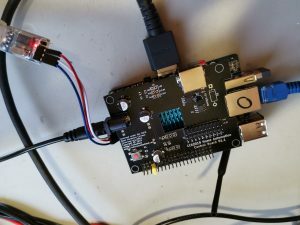 At home if you’re using an Orange Pi that isn’t from the conference you’re going to have to find another way to determine the IP address of your Orange Pi. The way we determined MAC addresses and so forth for the boards used at the conference was to boot an Armbian image and then run a simple python script which performed some simple checks of each board by logging into the board over serial. The MAC addresses for the boards handed out on the day are on github. 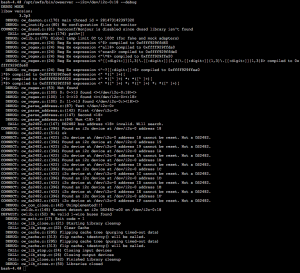 The advantage being that suddenly you get useful debugging information! The serial connection is 115200 baud 8N1 (8 data bits, no parity, 1 stop bit) by the way. The hassos image used for the conference allows login as root with no password over serial, which dumps you into a hass interface. Type “login” to get a bash prompt, even though its not in the list of commands available. At this point you can use the “ip address” command to work out what address DHCP handed the board. So at this point we’re about as ready as people were meant to be when they walked into the room for the tutorial. I’ll write more notes when I complete the actual tutorial. This is just a quick post at the moment because the project isn’t done and I am distracted by other things… The thermostat for the central heater in my house became unreliable a week or two ago. My wife rang around and a new one from the manufacturer of the heater was going to be $450 AUD. So, it seemed obvious to make my own. I’ve just installed the 1.0 of it, with the board layout and manufacture being done by Doug once again. Other people seem to lack a PCB manufacturing back neighbour. I highly recommend you acquire one if possible. The next sensor I wanted to add to my home was a set of hygrometers. Specifically I wanted an exterior one, and a matching interior one. This would be useful as we have evaporative cooling, and if the humidity level outside is already high, then it doesn’t make a lot of sense to put extra water into the air. Worse than that, it can also damage my books and make the house really clammy. So, adding some sensors was the first step in some form of alerting. I picked up two HS1101s from ebay quite cheaply (about $4 each IIRC). These devices are capacitors whose capacitance varies proportionally with relative humidity. You also need to provide a temperature at the sensor to correct the value, although the correction is pretty minor so I guess you could skip this if you really wanted to cut costs. Given I have plenty of code for Dallas 1820s now, I just dropped one of those onto the board too. The large number of jumpers on the prototype PCB. 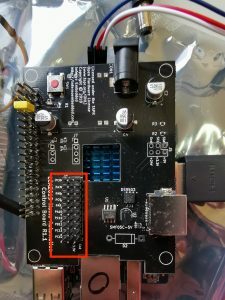 The lack of documentation from other arduino hackers (with the notable exception of the rather good Peter H. Anderson page). 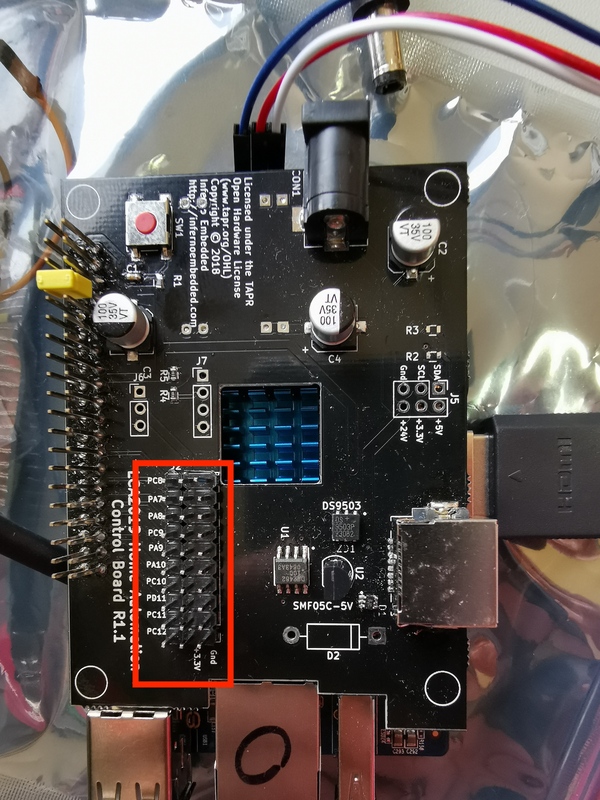 The HS1101 data sheet forgets to mention that connecting pins 1 and 8 on the 555 is assumed knowledge. The values for R1 and R2 vary depending on what model 555 you are using, and are crazily specific. For the LMC555 that I used, R1 is 1238K and R2 is 562K. I got close to these values, but not exact and it did seem to affect accuracy. You must use a CMOS 555. That’s buried in a six word sentence in the middle of a page on the data sheet, and I didn’t notice it for a while. With a NMOS 555, you get effectively random numbers out of the circuit. Worse than that, CMOS 555s are actually a little hard to find, and I had to get mine from Farnell. I attempted to calibrate with the government weather data from the next suburb over. Unfortunately, as best as I can tell, that data is wrong. It claims that its currently as humid here as it is in Cairns in the wet season, which I deny. Calibration is an ongoing issue for me, although I have some ideas on how to progress there. It might also not matter, as I am building an identical sensor for inside the house and as long as they are both equally wrong I can still detect the “turn off the water to the evap” state that I want to. 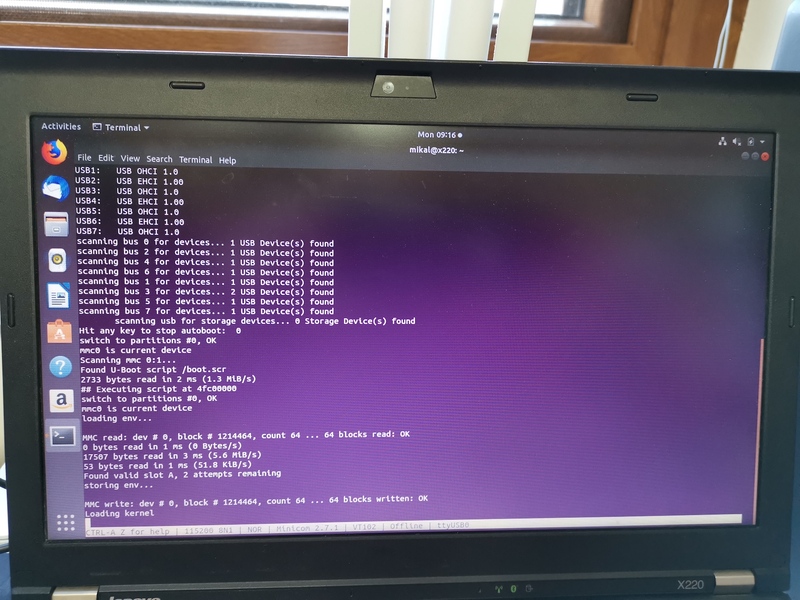 #define ERROR_500 "HTTP/1.0 500 Error\r\nContent-Type: text/html\r\n\r\n<h1>500 Error</h1>"
return(es.ES_fill_tcp_data_p(buf, 0, PSTR("HTTP/1.0 200 OK\r\nContent-Type: text/html\r\n"
plen = es.ES_fill_tcp_data_p(buf, plen, PSTR("<html><head><title>Temperature sensor</title>"
// Power up the 555 / HS1101, and take a measurement. Power it down again afterwards. As with previous circuits, I’m going to have to thank Doug for hints and tips along the way, as well as letting me steal his entire collection of 8 pin DIP sockets. Since the last update on the beer fridge, we’ve had to do some murdering of the original PCB to get it to fit in a case. In addition, we’d failed to take into account the startup power draw for the compressor (5 amps), and had to upgrade the relay we’re using from a 3 amp solid state relay. Luckily Doug had the beefier relay just sitting around in his shed. That means we’ve lost our opto-isolation because the new relay is a simple mechanical one, but we have a relay coil doing the same thing now. A new PCB will make the world a lot neater, which will be nice. Oh, we’ve also been mentioned on Hack a Day, which has generated some interesting comments on their site. (Note that graph is a Google chart server image, generated by a simple visualization program I wrote in python. If you’re that way inclined, the visualization software is in my public SVN repository). At first we thought this was a software problem with comparing ints to floats, but it continued to happen even after we fixed that bug. You can see in the graph above that during testing the compressor was “turned on” (i.e. the arduino thinks it has activated the relay), but the temperature continued to rise. A visual inspection showed that in fact the relay hadn’t turned the compressor on, and power cycling the controller (and therefore the relay) didn’t help. However, the simple expedient of hitting the relay with a screw driver handle fixed the problem, which made me think that Doug had given me a bodgy relay. This got me thinking about if it would be possible to unstick a relay in software though — its pretty easy to detect this case (temperature continues to rise despite the compressor being). I’m thinking that perhaps if you cycled the inputs over and over you might be able to get the relay to unstick. Detecting this case in software might be generally useful anyway though… Ignoring stuck relays, it would also tell you when someone had left the door open for example. It would be nice to detect this case and then give up on the compressor for a few minutes before trying again. I wrote a quick implementation of this “door open detection” and gave it a try, but I’ve now given up on it as being too fiddly. I found problems such as when the outside world is heating up rapidly (summer mornings for example), the compressor can’t make a big enough difference to the internal temperature of the fridge, but you still really want the compressor on because something is better than nothing. In the end it turned out the problem with the relay was that the arduino wasn’t providing enough current to pull the relay contact in reliably. This was fixed with the addition of a transistor to the board, which is yet another thing to add to the next PCB. One of the big advantages of a microprocessor based custom thermostat is that I can implement new features that wouldn’t normally be present in a fridge. Some of these features might turn out to be bad ideas, but I view the beer fridge as a bit of an experimentation platform. Another recent software tweak is a start up delay for the compressor in order to reduce the risk of back pressure damage to the compressor. Thanks Murray! This comes with yet another LED which indicates that the compressor is currently disabled. The code for the arduino. This should be self explanatory, except for saying that we’re using a nuelectronics.com ethernet shield, not the standard one. The visualization software. You want temperature.py to scrape the web server on the arduino and push stuff into a MySQL database, and then server.py is a simple python web server that provides the UI for visualization. The UI isn’t very good at the moment, but I shall improve it soon. Last night Doug made up the first cut of the PCB for the beer fridge controller mentioned in previous posts, and we fitted the arduino to it. There wasn’t much in the way of software changes, apart from changing the pin that the compressor runs on. As I’ve mentioned before, the hardware and software can handle more than one temperature probe, so the ultimate plan is to take the opportunity to place a bunch of these probes around the house and see what interesting data we end up with. Further to yesterday’s post about the beer fridge thermostat replacement, I’ve been hacking on ethernet support for the controller. This is handy because I’d like to log the temperature and compressor state over the network, because I’m hoping that can be used to make calculations about the thermal mass of the contents of the fridge, and therefore derive how much beer is actually in the fridge at any given time. Because the controller also supports more than one temperature probe, I’ll also add more 1-Wire temperature sensors around the house so I can determine important things like if its hot in the outside world. On the weekend I picked up a 220 liter beer fridge for $20. Its in really good condition (ignoring some minor rust in the freezer section), and the only real problem with it is that the thermostat doesn’t work leaving the compressor on the whole time. Doug suggested that instead of just buying a new thermostat, we should build an arduino fridge controller. I’m not really a hardware guy, but once Doug had pointed me at the Dallas 1820 1-Wire temperature sensor, and lent me some resistors, it was pretty easy to pull the software side together. Note that this version doesn’t actually do any of the compressor control — it simulates that by turning a LED on. The compressor stuff has been delegated to Doug and will be mentioned later. // 1000 to get kWh. That's with it on my desk where the "compressor" is permanently "on". I'll let you know how we go with further versions.